From low volume to mass production, Pentar Stamping, Inc. is the single source for high quality, cost effective stamped & assembled products for a wide range of applications and industries. 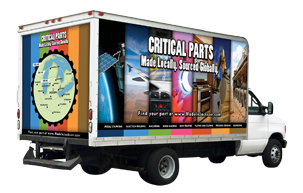 We also specialize in emergency work, designing new products, aftermarket service work and much more. Metallist, Inc. is a manufacturer with over 52 years experience providing products to a variety of industrial markets. Metallist, Inc. is certified to ISO 9001:2008. An industry leader specializing in the design and manufacture of standard & custom machine applications, tooling, gages and leak test systems. Additional services include: Machining & fabrication services, prototype work and private label-contract manufacturing. Alro is a metal service center offering a full line of steel and non-ferrous metals, plastics and industrial supplies. Subsidiaries include Alro Industrial Supply, Alro Plastics, Alro Riverside Grinding, Alro Processing, and Alro Metals Plus. 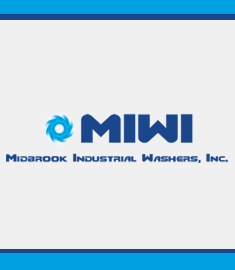 MIWI, Midbrook Industrial Washers, Inc, is a Jackson, Michigan based, locally owned, manufacturer of automotive parts and dunnage washers. MIWI's Technology Lab does 3rd party gravimetric/microscopic particle count/size testing to ISO16232 standards, plus testing to standards of a variety of industries, encompassing the USA and global. MIWI's Production Washing, supplies part cleaning, dunnage washing, deburring, de-rusting and inspection work, supplying the workspace, equipment, and workforce to take your "plan" and make it a reality. Designs, manufactures, and sells seats for lawn and garden equipment, lift truck, farm, construction, industrial machinery and off road vehicle industries worldwide. Parent Company: Milsco Manufacturing Co., a division of Jason, Incorporated. Manufacturer specializing in production sawing, CNC machining & turning, and contract inspection for the automotive industry. Manufacturer of custom rack and pinions in a variety of sizes and materials, including 4140 alloy steel, plastics, aluminum, mild steel, tool steel, brass, bronze, and stainless steel. Material finishing processes available include special heat treating (including ion nitride), electroplating, passivating, and anodizing. Mechanical/product design firm with wide range of expertise providing engineering-related consulting in the areas of document control (Engineering Change Orders, Bill of Material management, ISO paperwork), Technical Writing, and design software streamlining. Skilled trades apprenticeship and customized training program designed by manufacturers to meet the needs of manufacturers across south-central Michigan. Machine shop specializing in the manufacture of tools, fixtures, gauges and details per print; small machines; and prototypes. Machine shop specializing in CNC programming and machining. custom machining. EDM and grinding. Manufacturer of CNC & Screw Machine Products. ORBITFORM designs and builds assembly equipment solutions for manufacturing. Our products, processes and services include RIVETING, FORMING, WELDING, CONVEYORS, ASSEMBLY ANALYSIS & PROCESS RECOMMENDATION, TOOLING DEVELOPMENT, PART ASSEMBLY, and turn-key ASSEMBLY SYSTEMS. Since 1984, ORBITFORM has lead the industry with NEW and INNOVATIVE assembly processes and solutions, was the first to apply "Hot Upset" technology as an assembly process, and is the only assembly equipment manufacturer to offer IMPACT RIVETING, ORBITAL FORMING & RIVETING, SPIRAL FORMING & RIVETING, ROLLER FORMING, HOT UPSET FORMING & RIVETING, ROBOTIC MIG & RESISTANCE WELDING, PALLETIZED & LBP CONVEYORS, TURN-KEY SYSTEMS, PROTOTYPE TOOLING DEVELOPMENT, ASSEMBLY ANALYSIS and PROCESS RECOMMENDATION, and ASSEMBLY SERVICES all under one roof in our Jackson, MI facility. It all starts with the customer’s part, in our state-of-the-art SOLUTIONS LAB where we've analyzed over 5,000 assembly applications, working in concert with our customers to develop the best assembly solution to meet their needs. Our ISO-certified Applications Engineers review the customer's finished part specifications, pre-formed characteristics, production requirements, and tooling and fixturing requirements in order to create a comprehensive assembly solution based on their quality, strength and aesthetic requirements. We identify the assembly process, determine operational parameters, machine specifications, develop prototype tooling, verify repeatability, and assemble our customer's sample parts for their testing and evaluation. Our customers know what they’re going to get before they commit.. To learn more about ORBITFORM, please take a moment to watch our OVERVIEW VIDEO. Visit us at www.orbitform.com and click on the video on our home page. Designs and builds specialty tooling, machinery, stamping dies, molds, jigs, fixtures and equipment. Manufacturer of small diameter, high precision machined parts for a variety of industries. CNC machining of prototype and production. Manufacturer of conveyors and quick die change equipment for the metal stamping industry. Conveyor types include scrap, part, chip, floor systems using steel hinge, magnetic, belt and oscillating. Quick die change products include pneumatic die lifting systems, mechanical clamps and stationary roller rails for die handling. Briggs Mold & Die Inc.
Tool & Die Prototyping with low to medium volume production capability. Also provides engineering and manufacturing services including CAD/CAM, CNC machining, MIG/TIG welding and custom powder coating. Precision machine shop specializing in rapid functional prototypes and small lot size make to print turning and miling. As our motto states, if you can dream it CT can machine it. Our knowledgeable, dedicated and responsive workforce set us apart as Mid Michigan's premier precison machine shop. Shop local! Alro Metals Outlet in Jackson is a retail store for metals, plastics, hardware supplies, DeWalt tools and more. We stock a broad range of products in a convenient retail setting that is perfect for do-it-yourselfers (DIY), machine shops and maintenance departments. We sell remnants at discounted prices as well as standard length material in bar, sheet and plate. Open Monday � Saturday. Manufacturer and high-tech systems integrator specializing in the design, build, installation and support of automated production equipment. MANUFACTURING FACILITY - CNC MACHINING, DIE CONSTRUCTION, DIE TRYOUT, WELD, LASER, WATERJET, PLASMA CUTTING. Manufacturer of precision machined hydraulic and self sealing aircraft coupling components. Manufacturer of packaging products, including returnable packaging, using corrugated, foam, plastic, metal, and other materials. Capabilities include custom packaging design, kitting, set up boxes, assembly, and contract packaging. Parent Company: Advance Packaging Corp., Grand Rapids, MI. Services include rotary grinding, reciprocal surface grinding, milling, and straightening of bar stock and plate steel up to 90' wide on material up to 4' thick. Capable of grinding tool steel, carbon steel, coil steel, die parallels (risers), bolsters (including re-works), machine bases, aluminum, stainless steel, table tops, weldments and alloy steels. Manufacturer of bakery and food processing equipment, including dough imprint systems, slicing systems (for buns, rolls, bagels, English muffins and cakes), pan cleaning systems, packaging lines, basket handling systems, hamburger and breakfast sandwich assembly lines, and custom designed solutions for application specific requirements. A leading manufacturer of quality pneumatic & hydraulic cylinders for diverse industries. A world leading manufacturer of non-cross linked expanded polyethylene sheets, expanded polypropylene beads and other proprietary products to a global market. Product line includes extruded polystyrene fasboard for housing construction and expandable polystyrene bead products for the food market. Our geographical presence has expanded to provide global sales coverage including North & South America, Europe, the Middle East, Africa and Asia, including all the BRIC countries. Alro Industrial Supply provides customized tool management systems that enable our customers to purchase a wide variety of products and streamline their procurement process. Alro supplies cutting tools, abrasives, coolant and MRO supplies in addition to a broad range of industrial supplies such as gloves, PPE, fans, gages and more. Alro represents the most upstanding vendors in the industry. We use our large inventory to tailor a solution to your specific needs and follow-up with same day order processing and knowledgeable support staff. High Precision (+/-0.005mm or +/-0.0002") Production Grinding and CNC Machining ISO 9001 Manufacturer since 1974. Specializing in Production Double Disc Grinding, Cylindrical, and ID Grinding, CNC Turning & Milling, as well as, CNC OD Grinding, Super Abrasive Grinding, and Surface Grinding. Your Powdered Metal specialists for over 30 years! Microtech Machine Co. Microtech Gaging L.L.C. Manufacturer of Parma broaching machines, Swartz Fixtures and Rotary Actuators, Clamp-n-Jack, and Trans Mill product lines. Also provides a wide range of production machining services�CNC turning and lathe work, broaching, O.D. and centerless grinding, surface grinding, screw machine work, and more� in their fully-equipped machine shop. Design and manufacture tooling/molds for the blow mold industry. Manufacturer of hydraulic and pneumatic cylinders and servo valves for industrial, commercial and mobile hydraulics systems. Manufacturer capable of large diameter screw machining and turning. Capabilities include screw machining (1' to 3-1/2'), horizontal and vertical broaching (up to 48', 15 ton), chucking (6' capacity), centerless grinding (4-1/2') OD grinding (8'), CNC tube bending, friction and wire welding, CNC milling (up to 20' x 57') and turning, CNC gear hobbing (7' capacity), sawing, thread rolling (1-1/2') and more. Manufacturer of CNC turned and milled short- and long-run production parts serving the aerospace and automotive industries. Award-winning manufacturer of precision machined components with over 30 years of experience in aerospace, industrial, and prototype high precision, tight tolerance CNC machining. Complete plastics fabrication and distribution services, including plastic sheets, rods, tubes, film, profiles, and machined parts. Die casting services- Magnesium, Aluminum & Zinc Prototype for die cast molds, perform secondary machining services and sampling. C. Thorrez Industries is a group of family owned and operated precision machined products companies, producing top quality industrial parts since 1919. Each company has the capability to produce long run, large quantity production jobs, along with short-run and prototype work. We are firmly committed to quality, delivery, and continuous improvement. Single source lab for calibration, inspections, material analysis and equipment testing. Performs both lab and field work, and offers pickup and delivery of equipment or any device that requires special handling. Instrument calibration performed to NIST standards. Non-destructive testing options include Radiography, Ultrasonic, Magnetic Particle, Liquid Penetrant, Eddy Current, Acoustic Emission, Aerial Lift, and AWS Certified Visual Weld Inspections. Accredited by the American Association for Laboratory Accreditation (A2LA), Quality Assurance program meets the requirements of the Nuclear Regulatory Commission 10CFR50 Appendix B and ISO/IEC 17025-2005. Designer and manufacturer of weld and vibration monitoring and quality testing/assurance products, including ARCAgent� real time arc-weld (http://www.impactwelding.com) and SigTrap� automated noise, vibration, and harshness (http://www.impacteng.com) quality testing systems. A world leader in engineering design, development, prototype, testing and assembly of fluid delivery products and related items, including include oil pumps, clutch water pumps, fuel lift pumps, tubular products and aluminum castings for the automotive OEM, aftermarket and high performance racing industries. Manufacturer of aluminum trailer cabinets and storage accessories for car trailers, racing trailers, snow mobile trailers, barbeque trailers, police and public safety trailers, etc. Manufacturer and distributor of weld wire dispensing equipment and solutions. Allied Chucker & Engineering Co.
Machine shop; drive line components & short run production; drilling, boring, cutting, honing, lathe & mill work, general & CNC machining. Full-service design and thermoplastics molding company producing products for automotive, aerospace, furniture, recreation, electronics and consumer markets. ISO/TS 16949 and ISO 14001 certified. Manufacturer and supplier of industrial ovens, powder booths, spray wash stations, conveyor components and other industrial equipment, parts and service for the remanufacturing and finishing industries. Tool and Die company specializing in progressive dies, detail work, wire EDM and CNC machining. Certified Public Accounting, business financial consulting and services and tax return preparation. Designs palletized conveyor systems, specializing in metal-cutting environments, Low Back Pressure (LBP) conveyors, flat top conveyor systems, gravity roller conveyor integration, and elevator/lowerator functionality. Since its founding in 1947, Albion has evolved into The Caster Experts and one of the most recognized names in the material handling industry. That's because we do more than just sell wheels and casters. We deliver custom-engineered, reliable solutions for the most challenging material handling problems. As a world leader in the design and production of institutional and industrial casters and wheels, our growth is built on the challenges nobody else will take. Many custom-designed casters have become industry standards. And experienced engineers equipped with the latest design and manufacturing technology create casters that deliver optimal performance for virtually every application, load size, work environment and budget. You will select Albion casters with confidence through our highly-trained and responsive distributor network. As a member of Colson Associates, Inc., a worldwide business that includes plastics, hardware and medical products, you can be sure we will have the resources and staying power to service and supply your needs for at least another 60 years. Manufacturer of molded magnesium parts and products using Thixomolding, a semi-solid (Thixotropic) molding process with advantages over normal molding of magnesium including lighter weight parts with high ductility, the ability to mold complex, high precision, ultra thin walled parts and more. Thixomolding is environmentally friendly and material used are fully recyclable. Manufacturer of plastic products for the gas and water industries. Products include curb valves, curb boxes, valve boxes, cathodic protection test stations, valve and box supports and pipeline marker posts. Ability to do light assembly, including painting, cutting, milling, sanding, drilling, punching, heating, blow molding, vacuum forming, stripping, sawing, and packaging. Manufacturer of custom molded rubber goods, primarily servicing the aircraft, aerospace and medical fields. Metal Finishing including Custom Powder Coating, Ability to handle medium volume production as well as single part runs. Custom colors available. Also offers mechanical finishing and steam cleaning. Machining job shop serving industries with precision, quality large capacity machining. Also, supplying design, prototype and mold making services. Work piece weights from ounches to tons. Dependable and reliable selection, installation and maintenance of wind- and solar-powered electricity generation systems for residential, commercial and industrial customers. Precision machining for Aerospace,Medical,Industrial and several other industries. Ability to machine exotic alloys and most all grades of aluminum,stainless and plastic. Manufacturer of custom tooling, dies, molds and extrusions for the plastics and die-cast industries. Provides of a wide spectrum of general machining, milling and turning, including plunge and wire EDM and secondary operation punching. Serving Industry since 1941. Machining job shop serving industries with precision, quality large capacity machining. Also supplying design, prototype and mold making services. Work piece weights from ounces to tons. Manufacturer specializing in wire and steel fabricating, including such products as material handling baskets and inserts, steel storage decking, display racks, monorail carriers, and material handling carts. Inhouse capabilites include welding/resistance welding, plating (zinc, chrome yellow dichromate) and coating (Plastisol), press brake work, hydraulic bending, wire ring making (6'' to 20''), wire cutting and straightening (16 ga. Straighten to 5', 3/0 Straighten to 10'), wire forming, metal forming and drilling, and wire product repair. ISO 9001/2000 certified and a Tier 1/OEM Supplier. Manufacturer of machining and grinding coolants, rust preventatives, cleaners, drawing & stamping fluids and other specialty fluids for a variety of industries including aerospace, automotive, and refrigerant companies. Product line includes soybean oil based line of cutting fluids and coolants with both water soluble and straight oil versions designed to replace all petroleum-based cutting fluids and coolants within a shop with 100% petroleum free, heavy duty alternatives. Prototype & Low Volume Metal Stampings, Bent Tubing & Laser Cut Tubing. Technique, Inc. produces parts the way our customers need them: rapidly and with absolute precision and repeatability. Manufacturer of air bags, cruise control switches, automatic shift levers, and steering wheel/pad assemblies. Parent Company: Tokai Rika, LTD, Nagoya, Japan. Manufacturer of precision machined component parts and assemblies, short-run jobs and prototypes for aerospace, medical and other industries. Capabilities include milling, turning, grinding, plating, coating and heat treat. Industrial Steel Treating Company is a full service heat treatment facility with two locations in Jackson, Michigan. The company has been in business since 1943 and services companies in Michigan and the Midwest Unites States. We also run a company called Gen-3 Leasing. We offer warehousing and storage, office spaces, manufacturing space, art studios, automobile, boat and RV storage. Mag-Tec Casting Corporation offers full service die casting inmagnesium, aluminum and zinc, including CNC machining and shot blast finishing.....In-House. Mag-Tec's flexible manufacturing, we can offer low volume prototype or service parts requirements and scale to higher volume production runs. Machining & grinding coolants, rust preventatives, cleaners & die casting lubricants. Specializes in commercial and industrial electrical installations delivered by field teams of union Master and Journeyman Electricians assisted by supervised Apprentice Electricians using state-of-the-art equipment and training. Highly skilled, high tech tool shop with design capability servicing the aerospace, automotive, electrical and all industrial manufacturing industries. Specializing in screw machine tooling, dovetail form and shave tools, form reamers, step drills, punches, ID single point and power recess tools step drills, reamers in both carbide and high speed steel, as well as standard carbide and special form inserts, ceramics, cermets and thread mills. Additional services include tool design, parts layout, CNC 5-axis grinding and wire EDM machining. Job Shop with main focus on Air and Hydraulic Cylinder components and Specialty Cylinders. Manufacturer and re-conditioner of a wide variety of quality special cutting tools, including solid carbide and HSS round cutting tools, centerless grinder work rest blades, insertable and dovetail form tools. Video imaging, laser inspection, 5-axis Walter Helitronic tool grinders, wire EDM capabilities, CNC cylindrical grinding and machining, AutoCAD, Mastercam, and database information systems for work instructions, bar coding, and document control all insure precision for even the closest tolerances. A leading distributor of MRO (maintenance, repair, and operating) electrical wholesale products, construction materials, and advanced integrated supply procurement outsourcing services. Parent Company: Wesco, Pittsburg, PA. Manufacturer of diamond plate aluminum garage storage cabinets and garage storage accessories. Manufacturer of adhesives and sealants for the automotive, construction, transportation and solar energy industries. Parent Company: ADCO Global Inc., Lincolnshire, IL. Subsidiaries: ADCO Products Inc., Evansville, IN; Millenium, Chagrin Falls, OH; EternaBond�, Mundelein, IL . Maker of bakery goods, including mixes, toppings, designs, fillings, cakes, donuts, brownies, etc. Global manufacturer and distributor of a complete line of high-quality bakery mixes, bases, icings, glazes, fillings, frozen dough, par-baked and fully baked products.